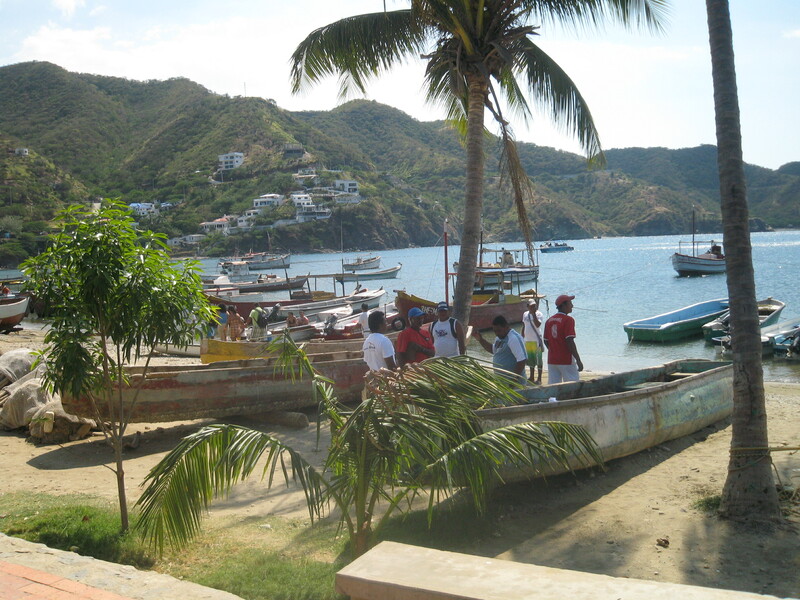 Taganga turned in to a popular scuba diving center with one of the lowest prices in the world. Diving spots are usually near the small island “Aguja”, a part of Tayrona National Park. The underwater of Taganga has a big diversity of marine life. Frequent minibuses(collectivos) go from Carrera 5 in Santa Marta to Carrera 2 o 3 Taganga for $1,200 per person (April 2009). It’s about 15 minutes. Beautiful ride. You can get off at the Mirador and walk down to town. TAXI fare from bus terminal of Santa Marta to Taganga starts from $8,000, but drivers usually charge more for foreigners. Be sure to negotiate before you take. The fare from the main beach of Santa Marta (Carrera 1) to Taganga starts from $5,000.